Bognor Regis town council has released a statement after ex-councillor Daniel Barnes pleaded guilty to offences concerning indecent images of children. Barnes – a former police officer – pleaded guilty to six offences yesterday. Click here to read the full story. 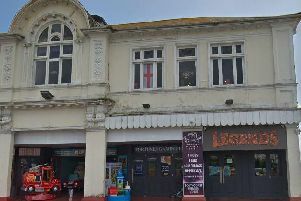 The 40-year-old resigned from Bognor council in January this year, less than three months after he was arrested of suspicion of making indecent images of children at an address in Bognor, the court heard. Barnes, now of Storrington Road in Thakeham, cited ‘personal reasons’ when he resigned, a meeting of the council heard. Following the court hearing, Bognor Regis Town Council issued a statement. Their spokesman said: “The Town Council are aware of the charges made against Mr Daniel Barnes at Worthing Magistrates Court on 4th December 2018. “Mr Barnes resigned from Bognor Regis Town Council in January 2018, citing personal reasons in his letter of resignation to the Town Clerk.